Rodney Evans brings Gospel Music to WCLK listeners six mornings each week on Joy In The Morning, as he has now for 33 years. This week on The Local Take I talk to Rodney about his Annual Toy Drive. 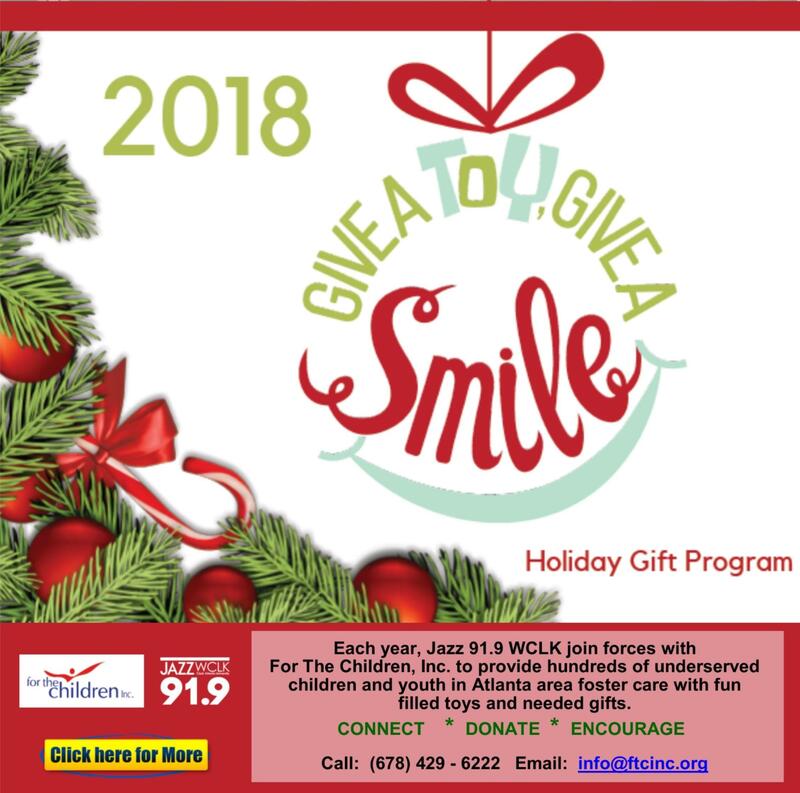 For the Children supports the campaign Give A Toy, Give A Smile to provide Christmas gifts foster children and homeless children, who may spend the holiday season in a shelter. Rodney explains that he started this drive after volunteering to support children in foster care. Often at the holiday season these children may not even be in a home for their care. He wanted to ensure that children would be able to enjoy the season and Give a Toy, Give a Smile was born. They are looking to collect new toys and gift cards to brighten the holidays for children in need. If you are hosting a holiday party or service and want to collect toys for Rodney's initiative, For The Children will come to pick them up. In order to get gifts sorted and slated for Christmas delivery they need all donations in by December 20th. If you'd like to provide funds to purchase toys and other gift items that is welcome as well. Kiplyn Primus talks about For The Children with Rodney Evans on The Local Take On WCLK.